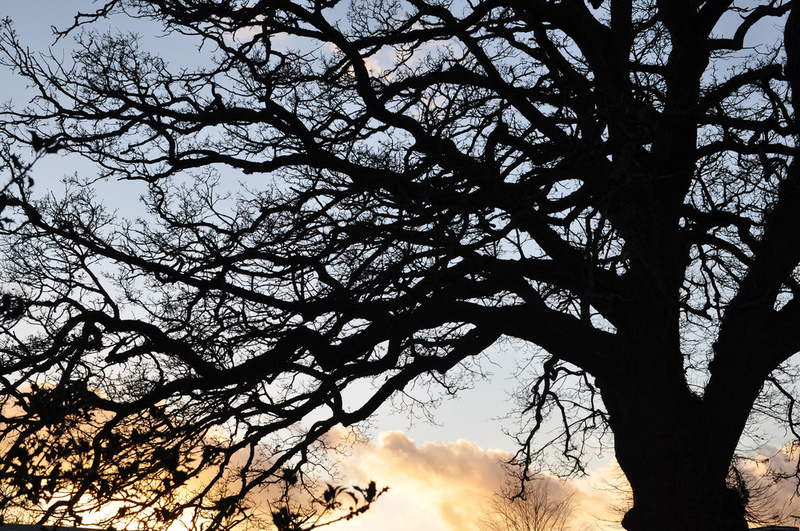 Whilst visiting the gorgeous village of Selborne in Hampshire, I felt the need for sustenance …. after all, wandering around a museum, gardens and looking at village churches takes its toll on a girl. Locals directed us to an historic inn that crossed all the “t’s” and dotted all the “i’s” – The Queens, formerly known as The Compasses. 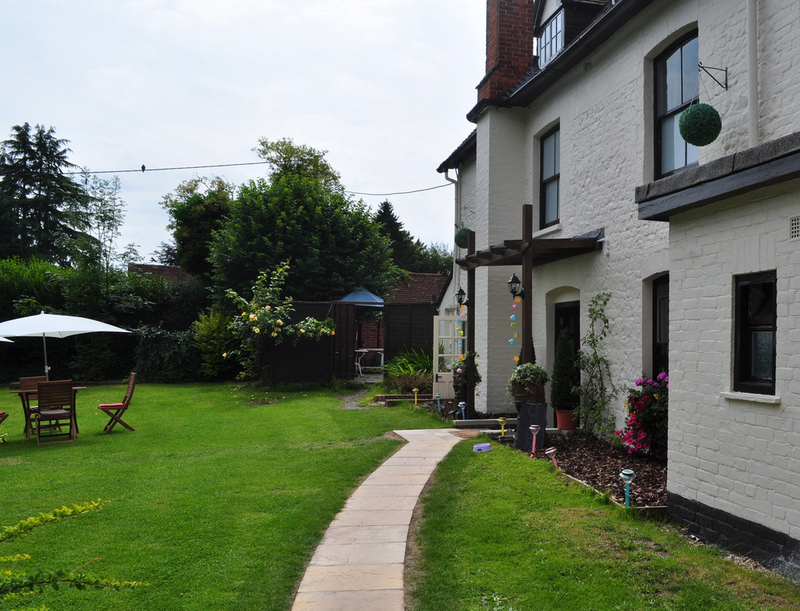 Behind the pub are spacious gardens – ideal if like me you tend to wander around with a dog – and the staff are friendly, efficient and dog savvy, conjuring up a bowl of water immediately and unasked. When known as The Compasses, local author Gilbert White in the mid-1700’s, graphically depicted a very wild celebratory wedding party. Very popular a while back then, and still so today as the near empty garden was soon fully populated primarily by locals by the time I had bought a glass of wine at the bar! Always a good sign. 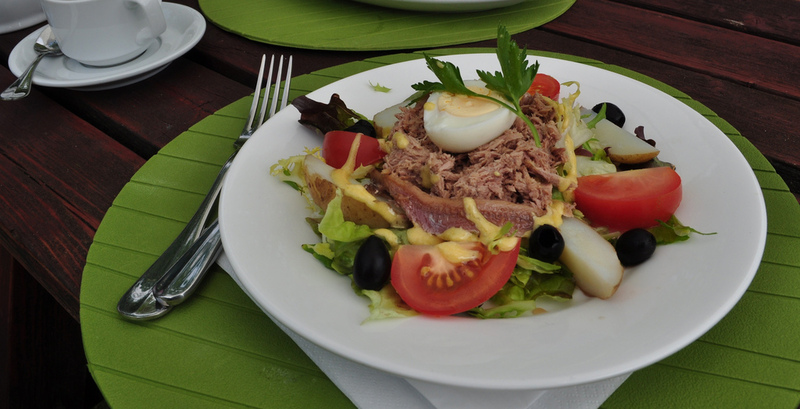 Our choices of Salade Nicoise and The King’s Cold Platter promptly delivered were delicious, hitting the spot immediately. The menu is augmented by daily specials and a wide sandwich selection. I’d quite like to re-visit this pristine little village again very soon, perhaps this time, staying in one of the seven rather smart en-suite bedrooms they have unveiled here at The Queens. Free wifi is offered I see … but do they accept dogs, I wonder? 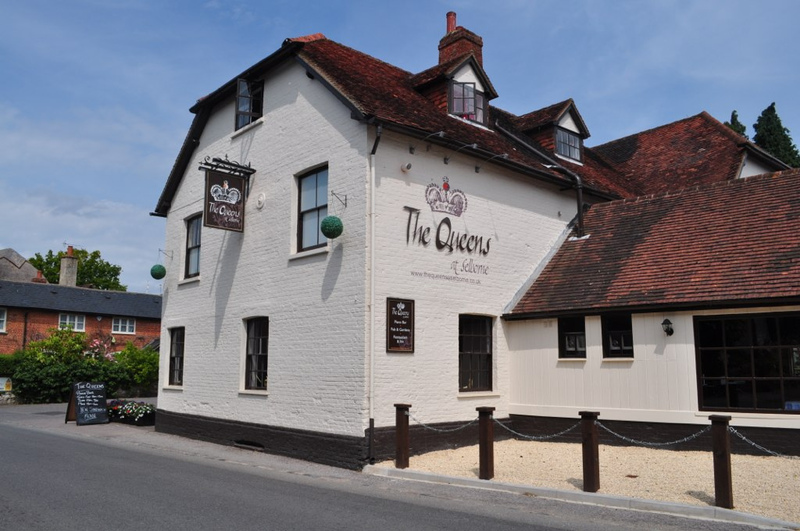 Address: The Queens at Selborne, High Street, Selborne, Hampshire, GU34 3JJ. Tel: +44 (0) 1420 511 454. Contributor & photographer: Sue Lowry. Follow A3Traveller on Twitter: @A3Traveller; and Sue Lowry on Google+, LinkedIn, Flickr, On YouTube and Pinterest. I also operate another blog for my company MagellanPR – http://www.magellanstraits.com. They can be followed on Twitter: @MagellanPR, on Google+, on YouTube, on Pinterest and on Facebook.